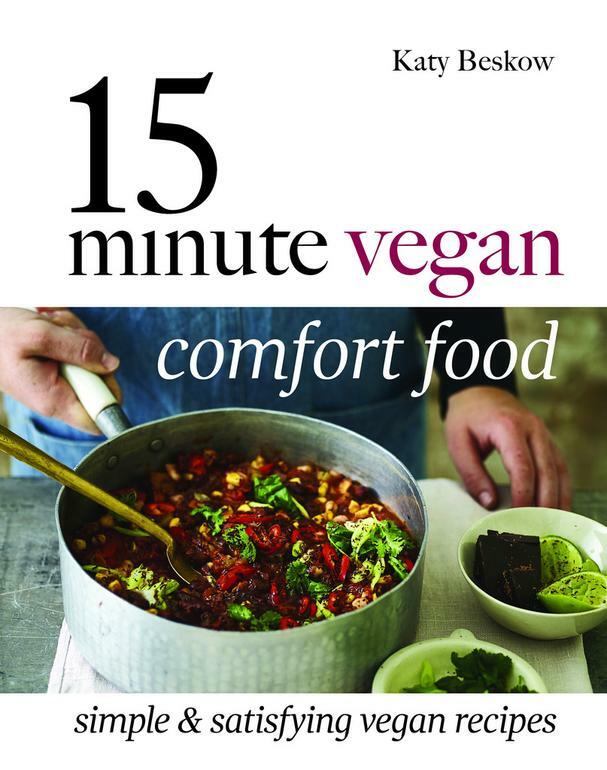 Whether you adhere to a strict vegan diet or you're someone who occasionally dapples with plant-based eating for health and wellness reasons, you'll love best-selling author Katy Beskow's (aka Little Miss Meat Free) newest cookbook, 15 Minute Vegan Comfort Food. It's full of quick, easy, and comforting recipes that will make you feel tip-top! Before launching into her delicious recipes, Beskow covers how to shop for ingredients and build a vegan pantry, the important tools for creating a comfort food kitchen (get a pressure cooker! ), and the "Five Steps to Comfort Food." Her vibrant and nourishing dishes - from comforting classics like Loaded Tortilla Chips to sweet treats such as a Chocolate Pretzel Freakshake (oh, yeah, baby!) - will soothe and satisfy even the pickiest of eaters. The Social chapter includes with meal plans (Rustic Bistro, South Asian Supper, Persian Sharer, Thai Feast, Tex-Mex Feast) for weeknight dinners with friends or family. In Solo, you'll find finger-licking indulgent food (Spicy Beer-Battered Cauliflower Wings) as well as simple pleasures (Cashew Chow Mein) that are portioned for one. Sides and Bites includes a comforting, fast and tasty selection of dips, sauces, and snacks that are perfect on their own or paired with a main dish. Below are two delicious and nutritious recipes from 15 Minute Vegan Comfort Food, a sweet and smoky eggplant moussaka and a vibrant herby pea soup that's perfect for any season. 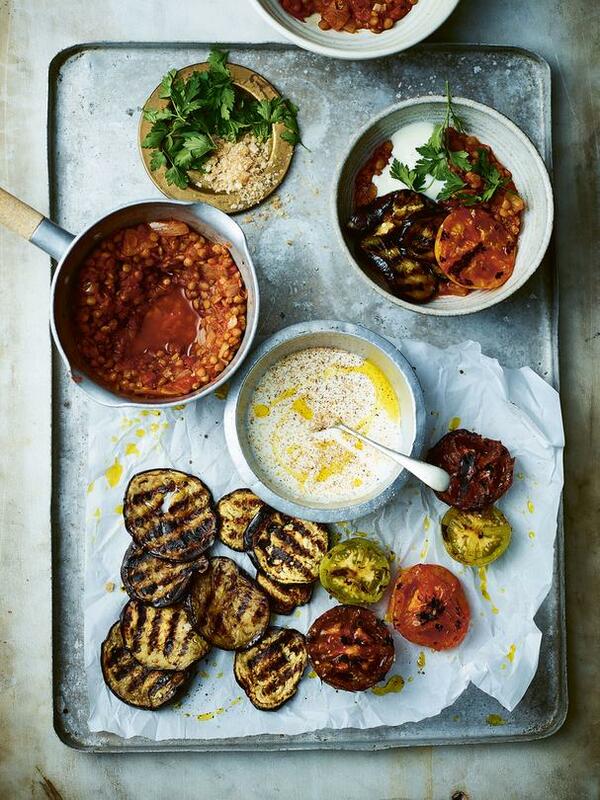 Get this Moussaka Bowls recipe here. 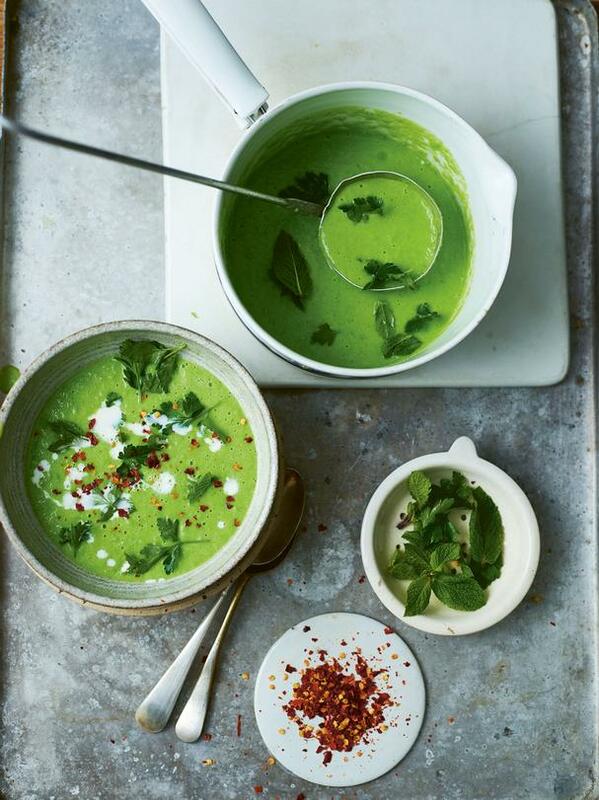 Get this Herby Pea Soup recipe here. Recipes excerpted with permission from 15 Minute Vegan Comfort Food by Katy Beskow, published by Quadrille September 2018.